This web site contains useful information for residents of Ohio's 13th Congressional District. 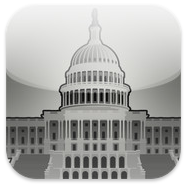 Download the Congressional Record mobile app to read on your smartphone or tablet! This is the official web site of the U.S. House of Representatives. This is the official web site of the United States Senate. This directory provides access to information about members of Congress, both past and present. This is the official web site of the Office of the Clerk of the U.S. House of Representatives. The Library of Congress hosts this site for congressional material. The legislative material goes back to at least 1989 with Public Laws available from 1973 to the present. Thomas also hosts the Congressional Record from 1995 to the present. Schedules for both houses of Congress are available as well. The Congressional Research Service (CRS) does not provide direct public access to its reports, requiring citizens to request them from their Member of Congress. Some Members, as well as several non-profit groups, have posted the reports on their Web sites. This site aims to provide integrated, searchable access to many of the full-text CRS reports that have been available at a variety of different Web sites since 1990.